May 24th Be With You! 50th Anniversary year of some long-running sci-fi show. Ah yes, Doctor Who, that’s the one. One of those infuriating hero-types who’s been around forever and a symptom of some villains not doing their job right. 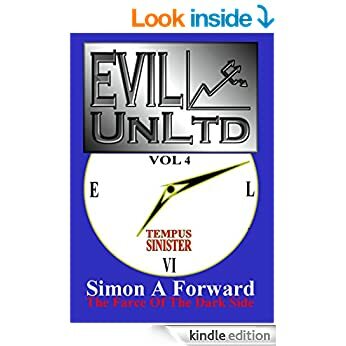 Anyway, yes, it is late to be welcoming people to the new year, but we at Evil UnLtd do love to be fashionably late and besides, while time waits for no man, it had better wait for us and just count itself lucky that it isn’t waiting on us. We have special minions for that. 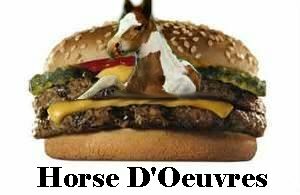 Speaking of dining, it has come to our attention that the world was recently shocked to discover that some of its beefburgers were found to contain 29% horsemeat. Perhaps the world now understands the horror and disgust we felt when it was discovered that our Evil enterprise was found to contain unacceptable levels of goodness. Our ‘illustrious’ – and often inebriate – author, Simon A Forward, is entirely to blame. Over the course of just over a year, Doctor Who fans were hit with the sad news of the passing of three actresses who had portrayed three favourite companions from the series. Lis Sladen (Sarah Jane Smith), Caroline John (Liz Shaw) and Mary Tamm (Romana). All down to cancer. So you can see how a sensitive soul with an affinity for this Doctor Who phenomenon might feel moved to do something in this anniversary year. Especially someone, like Simon A Forward, who lost his own mum to cancer seven years ago this coming May. 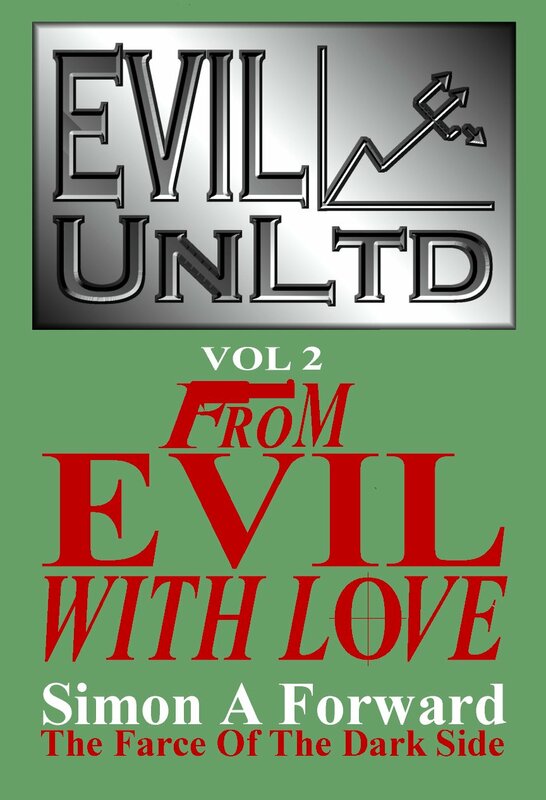 Hence, all royalties from Evil UnLtd books will be going to Cancer Research UK until May 24th 2013. 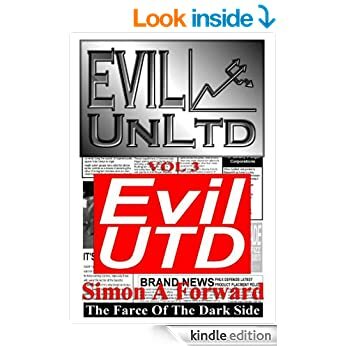 Furthermore, with Evil UnLtd Vol 3: Evil UTD due for release that same month (in time for Towel Day, Douglas Adams/Hitchhikers Guide fans take note!) our author was keen to continue with some longer-term contribution beyond that date. 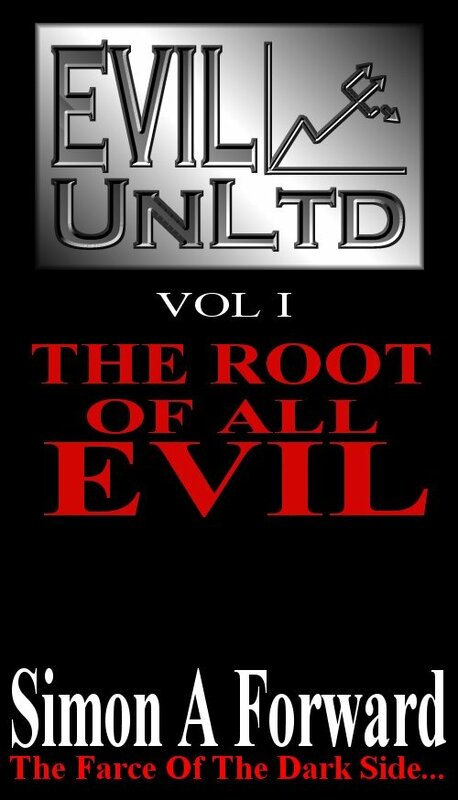 With that in mind, he has decided that a full 50% of royalties on all Evil UnLtd books, including future volumes, will go to Cancer Research UK. 50% goodness is a troubling level of contaminant to find in your own produce and we are far from happy about it, let us tell you. But it’s not in our nature to apologise or withdraw our products from circulation. We’d much rather withdraw circulation from consumers. Naturally, those same consumers can dispense with book purchases altogether and donate directly to Cancer Research UK. Jedi and others of a similar lightsaber-wielding hippy-dippy persuasion would caution you to beware of the dark side. We would urge people to embrace it. Much as it pains us, you will be doing some good. But ultimately, as we’ve mentioned before, cancer is evil and we could do without the competition. So, please, treat yourself to a book and/or help spread the word by sharing links on your blogs, Facebook, Twitter, by email, whatever your preferred means of communication. The Farce Of The Dark Side, it proclaims on all our book covers. Although we’re sure that must be some sort of typographical error. In any case, as the subject header says, May 24th be with you. Help Evil do some Good.